Aircraft reported loss of aircraft's window, landed without incident. 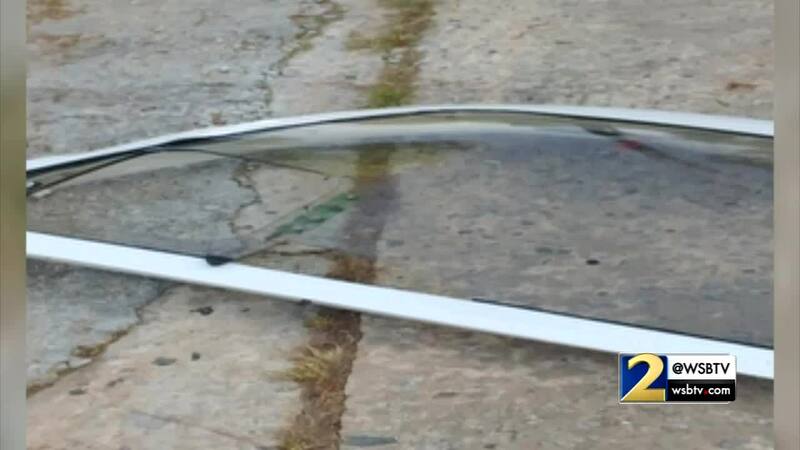 CLAYTON COUNTY, Ga. - The FAA is investigating after a woman says a window fell from a plane and struck her car. A woman told Channel 2 Action News she was sitting on her front porch in Riverdale when all of a sudden the piece of debris fell to the ground. But it turned out to be an unbelievable night for Randalson and her family. Their first clue? They say the power lines started to shake. “We had just gotten the car out of the shop. I am thinking something is wrong with the car, it is exploding," said Ronnie Randalson. Randalson couldn’t believe what she was seeing. We reached out to the FAA, they say a pilot of a Cessna 310 aircraft reported that a left side window separated from the aircraft as it was just south of Atlanta flying northbound at about 5 Friday afternoon. Luckily, Randaslon and her family weren’t hurt but they can’t help but think "What if?" “The impact of that, you seen what it did to the hood, if it would have hit me in the head it would have been done,” Randalson said. They want money. Lots of it. Lets pretend they were hit by the window frame and talk 459-CASH.